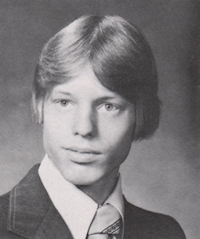 Obituary – Karcher, Robbie Ewald « Perry High School Alumni Association, Inc.
Robbie Ewald Karcher was born in Perry on December 12, 1960. 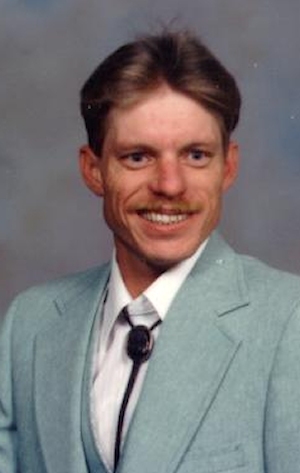 Robbie was murdered in Perry, Oklahoma on July 27th, 1996 and is buried in the Richburg Cemetery, East of Perry, Oklahoma. Robbie’s parents are Ewald Rudolph Karcher and Mertie Juanita (Melton) (Karcher) Vick. Robbie’s grandparents were Adam Karcher and Emilie I Karcher. Robbie was 36 years old at the time of his death. He worked as a truck driver, driving over the road and hauling local products. He was working as an exterminator at the time of his death. Robbie liked baseball and was a dedicated fan of the St. Louis Cardinals. He loved to collect caps from all over the country and even had some from Israel. Robbie never met a stranger. When he was small, any place we would go, he would find a friend to play with. He loved to go fishing and to go bowling. Robbie was a member of the Lutheran Church where he had attended since his birth.